Legionnaires’ disease is caused by Legionella bacteria infecting your lungs. It’s usually caught by breathing in small droplets of contaminated water. Legionnaires’ disease is caused by Legionella bacteria infecting your lungs. It’s usually caught by breathing in small droplets of contaminated water. The infection isn’t contagious and can’t be spread directly from person to person. Legionnaires’ disease is a serious, life-threatening illness that requires prompt treatment so it important to diagnose the illness as soon as possible. 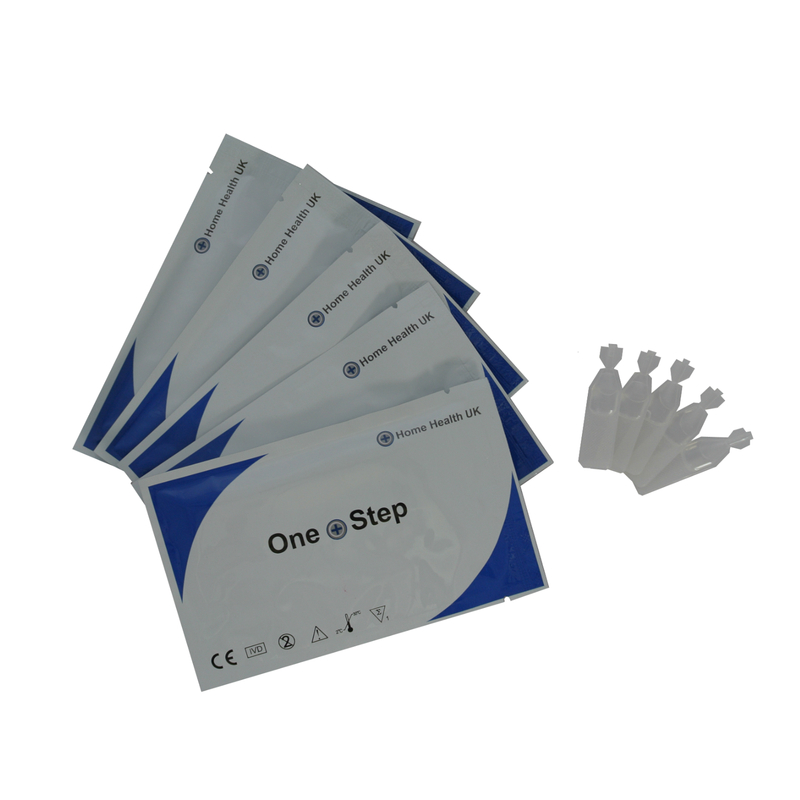 It is very simple – just collect a urine sample in a clean container and use the enclose pipette to transfer 4 drops of urine onto the sample well of the test cassette. You will then be able to read the results after 15 minutes. 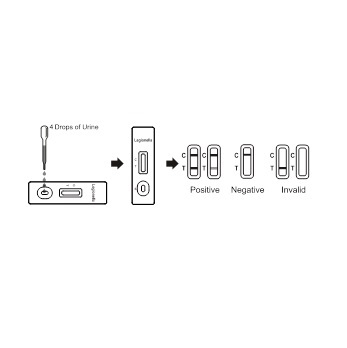 A positive or negative result is indicated by 2 or only 1 line in the test window respectively. To read further information about Legionella disease please click here. 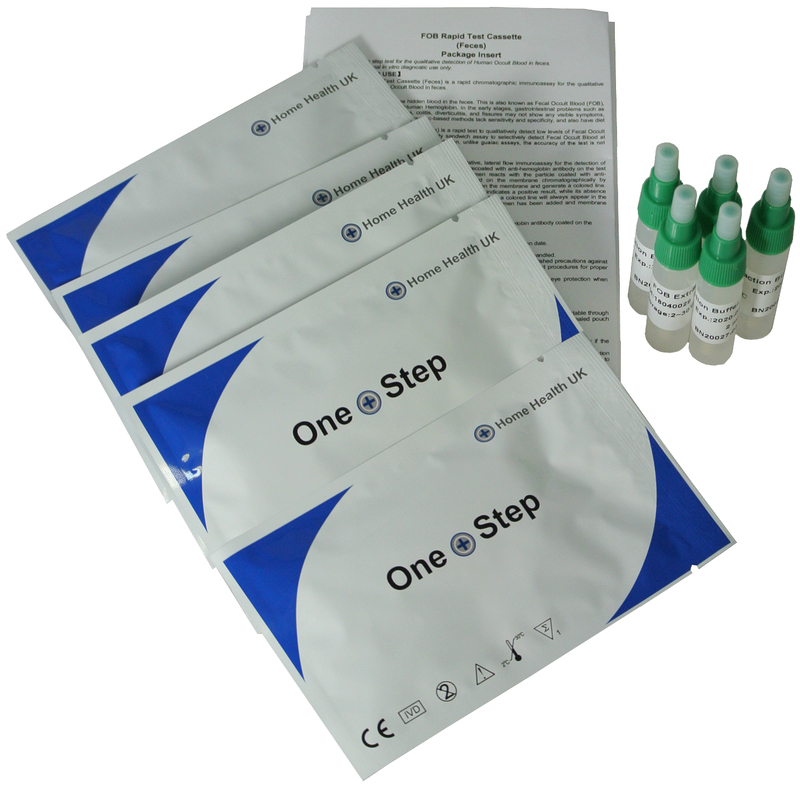 Allow the test, specimen, and/or controls to reach room temperature (15-30°C) prior to testing. Open the pouch and remove the device. Once opened, run the test immediately. Swirl urine gently to mix before testing. Add 4 drops of swirled urine sample( Approx. 100 μL) to the sample well. Wait for the color line to appear. Read the results at 15 minutes , do not interpret the results after 20 minutes. POSITIVE:* Two lines appear. One colored line should be in the control line region (C) and another apparent colored line should be in the test line region (T). 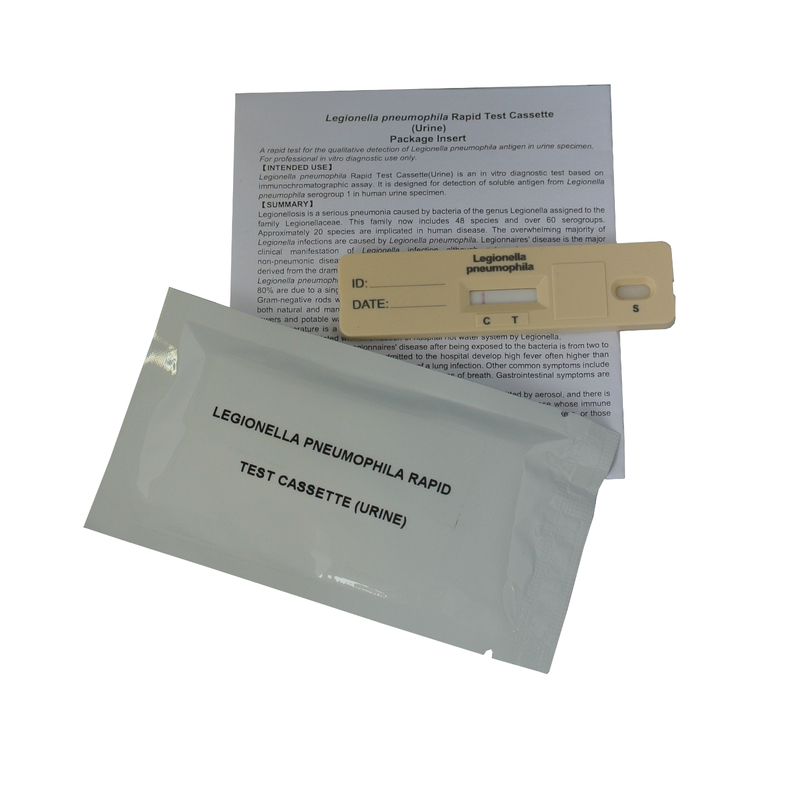 A positive result indicates that Legionella pneumophila was detected in the specimen. *NOTE: The intensity of the color in the test line region (T) will vary depending on the concentration of Legionella pneumophila present in the specimen. Therefore, any shade of color in the test line region (T) should be considered positive. NEGATIVE: One colored line appears in the control line region (C). No line appears in the test line region (T). 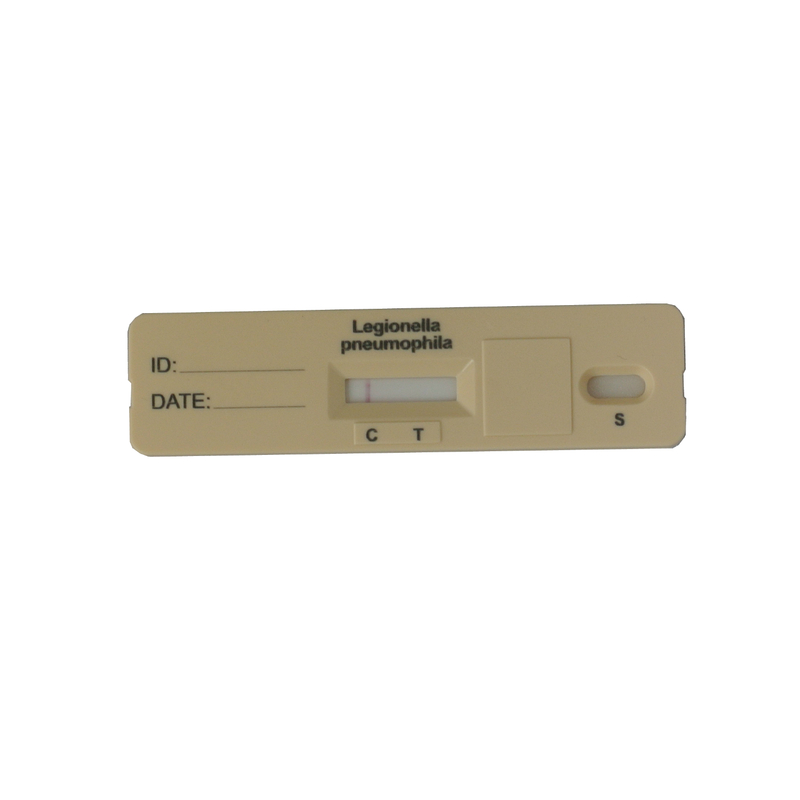 A negative result indicates that Legionella pneumophila antigen is not present in the specimen, or is present below the detectable level of the test. The lungs are part of the respiratory system.